Galerie Rosengart, Lucerne (aquired from the artist, 1967). Anon. 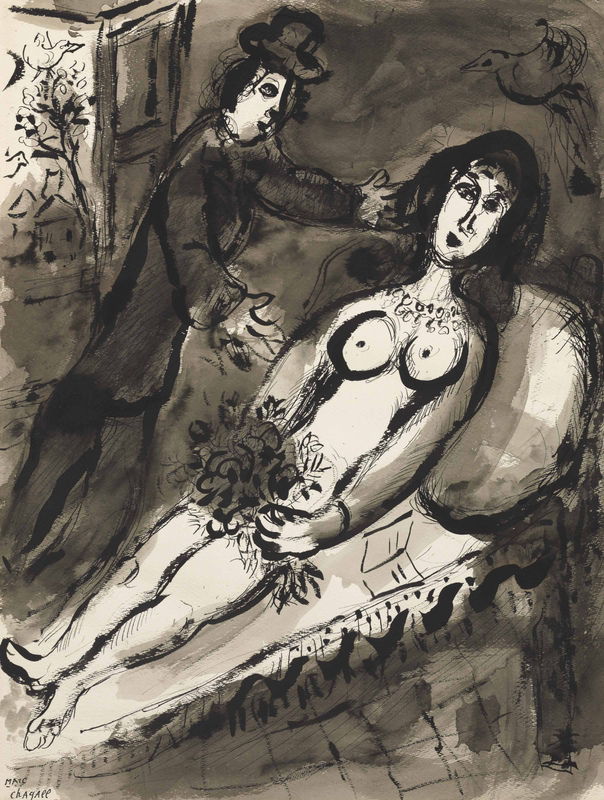 sale, Sotheby's, New York, 12 November 1988, lot 235. Acquired from the above by the present owner, 1989. Lucern, Galerie Rosengart, Chagall, Coloured Wash-Drawings, 1967, no. 24 (illustrated). February-April 1967, no. 43 (illustrated).